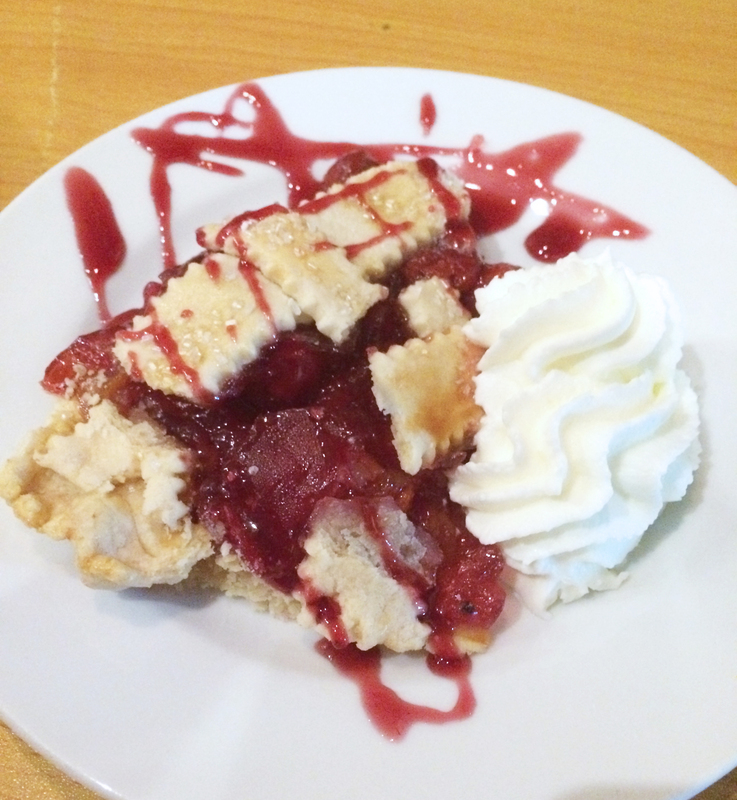 This week I ventured over to Oakwood to PieBird, a restaurant based around pie. The things I do for this blog, right? PieBird is one of my favorite restaurants ever. I have to warn you though, once you go you will be addicted. 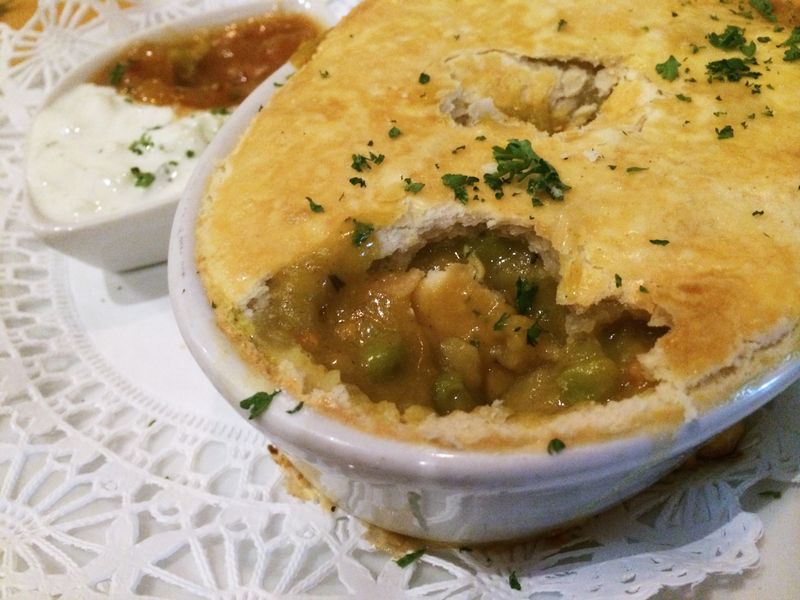 My mom got the Chicken Curry Pie, which was also delicious. It’s a sweet curry, which goes perfectly with the warm flakey crust. Incase you go for lunch, I also highly suggest the Pimento Cheese Pie. Now onto the best part: Dessert. PieBird changes their dessert pie menu daily, but I’ve never had a piece of pie here that I didn’t love. Tonight my parents and I chose three different pieces to share: Cherry, Somoa, and All Shook Up. The Somoa is on the menu pretty often and is definitley a personal favorite of mine. I’ve somehow never had cherry pie (above), but its my dad’s favorite so we got it. It was sooo delicious and sweet! The Somoa, as you can probably guess, is based on the Somoa girl scout cookie. Its perfectly chocolatey, coconuty, and caramelly (I’m pretty sure none of those are real words). When it comes out nice and warm, you’ll be sold at the first bite. 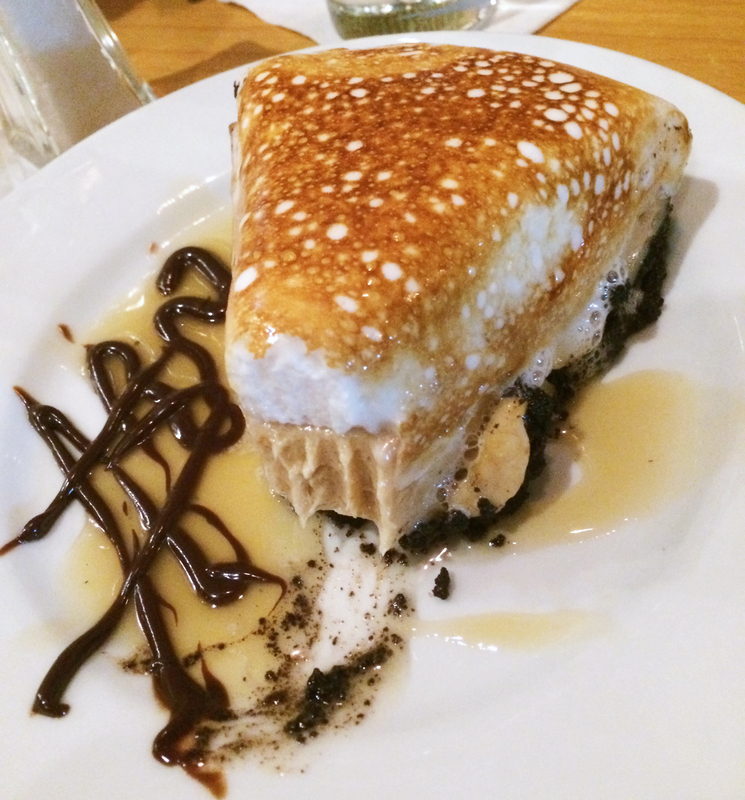 Finally, the All Shook Up was an Oreo crust, slices of banana, and peanut butter fudge, topped with toasted marshmallow. As you can tell, we couldn’t wait until I took a picture to take a bite. It was absolutely delicious. Sometimes I don’t like too much peanut butter, so I was very pleasantly surprised by how light the peanut butter fudge was. 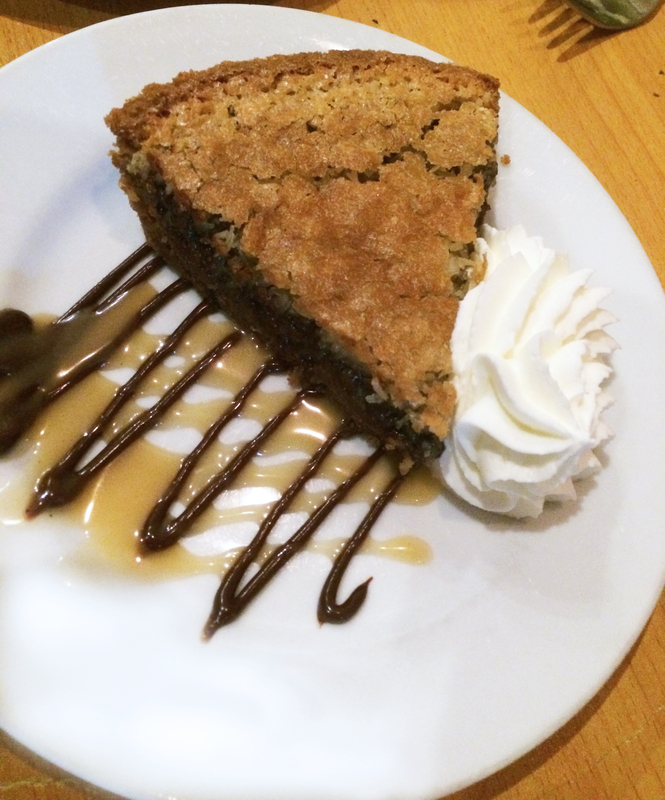 Also, I’m a sucker for anything with oreo crust. Like I said this is one of my absolute favorite restaraunts, and you can see how delicious it is, soooo go eat there! 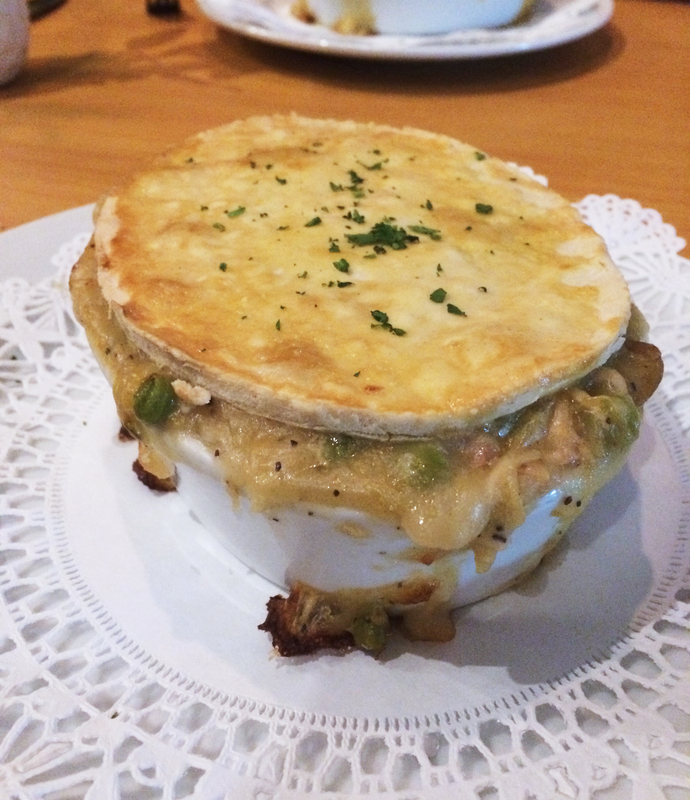 Later in the week I’ll be making a healthier version of Chicken Pot Pie. Unfortunatley, I don’t think there’s too much I can do with these amazing dessert pies.